CARDINGTON — Marge Breckner observed her centennial birthday on Aug. 30, 2017. She was born Aug. 30, 1917, in Alliance, Ohio. Following her graduation from Alliance High School in 1939, she married her high school sweetheart, Hank Breckner, in 1940. The couple and their one year old son, Stephen, moved to Cardington in 1946 when Hank became employed with HPM, Mount Gilead. They settled in a centuries-old Gothic style home at 130 East Main Street. built around the end of the Civil War. This home was destroyed by the June 13, 1981 tornado. Marge said neighbors helped salvage their household goods and other belongings until they settled in her current home. The Breckners were involved in many community activities. Hank, who passed away in the 1980s, was active with the Rotary Club and Marge, with the Rotary Anns. 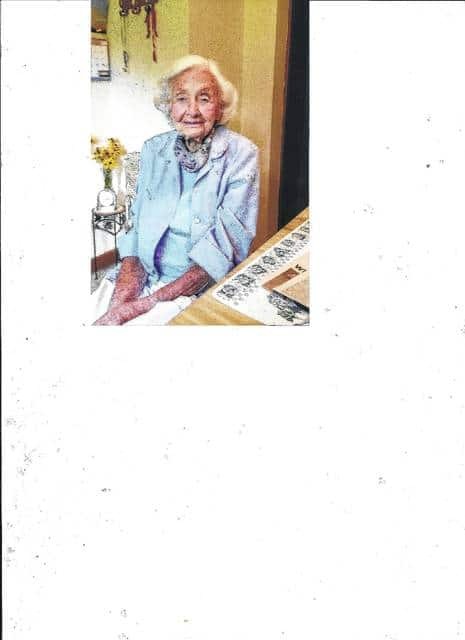 An avid gardener, she belonged to the Cardington Garden Club, was a member of the original Morrow County Hospital Auxiliary Unit, on the Cardington Library Board for many years and served as secretary with her church, the First United Methodist Church. One of her most meaningful accomplishments was as a member of the Cardington Tree Committee, she helped in the replacement of more than 800 trees that were destroyed in the village during the tornado. This committee was honored during the village’s Tree City USA commemoration in May. Marge attributes her longevity to “good health,” and her interest in “home” bingo, playing euchre and watching her favorite television programs, “Jeopardy,” the Cincinnati Reds, Cleveland Indians, the Cavaliers and the Ohio State Buckeyes. Her pet cat, Toby, is never far away. Marge’s two sons, Steve, of Cardington and Scott of Las Cruces, New Mexico, have given her eight grandchildren and seven great grandchildren. Congratulatory cards can be sent to Marge at 101 Midland Avenue, Cardington 43315.